We’re already in our third month of blogging – a quarter of the year down! Where is the time going?! It feels like it has snuck up on us. I never really planned to do monthly blogging about blogging updates, just whenever there was anything worth sharing. So here’s how we’re feeling about the 3-month mark. Blogging has still been a learning process. Just when you think you have everything figured out, you realize that you don’t. Lol. But that’s OK. It’s a learning process and we’re definitely learning. And we’ve come to the conclusion that we’ll probably always be learning. Our stats for this month are so so. Our page views were higher in our second month, but we had more visitors in our third month. I’m sure that some of this is because of referral spam. Spam is real… annoying! It’ll have you thinking you’re getting a lot of traffic to your blog until you look at your Google Analytics closely. Then you realize that you have to figure out how to combat the spam. Hence, the reason I said we’ll always be learning. Which brings me to the next point – We’re learning not to look at our stats so much or at least not to be discouraged by them. Way easier said than done though. Blogging is a slow process. We knew this before we even started, but it can still be discouraging at times. It makes us question if it’s worth it to keep going. Do people truly enjoy it? Is it really beneficial to others? With that being said, the comments that we receive on the blog as well as off of the blog have continued to be our motivation to keep going. We enjoy responding to our readers and seeing their perspective on topics that we discuss as well. I mentioned in our first blogging about blogging post that social media has played a role in people visiting our blog as well as us meeting new people. That hasn’t changed and it’s another factor that keeps us motivated. It’s amazing the number of people that we’ve come across on Twitter and Instagram (yes, Instagram… I had no idea!) that are so into personal finance and just trying to make the right decisions in life in general for themselves and/or their families. One of the things for us that have been exciting thus far is when we were asked early on to do our very first guest post. 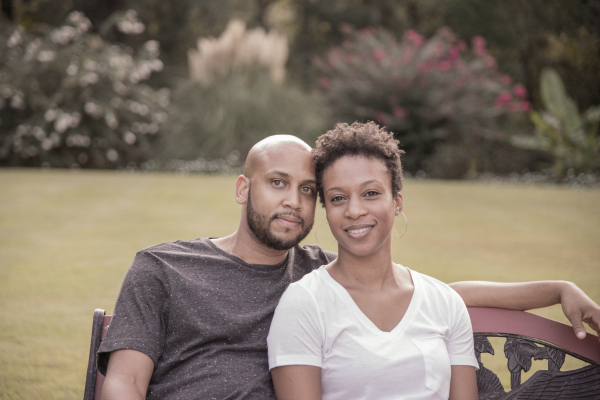 We were asked by Kelan & Brittany of thesavvycouple.com. You can check out the post here if you haven’t already. Another exciting moment was when a fellow blogger, My Sons Father, mentioned us in his post, The New Kids On The Blog. It’s nice to know that there are other bloggers who enjoy our work. And truth be told, we truly enjoy My Sons Father blog as well. He writes some of the most real, thought provoking posts (and they’re not all about personal finance). If you have a chance, please check him out. Although he has a lot of posts that I like, my favorite one is 5 Financial Lessons From My Childhood and Omar’s favorite is Random Questions With Mr. 1500. Although we’re only in our third month and blogging is still overwhelming at times, it has been a great way to put into words how we really feel about certain things and to be able to share with others. It’s also been great sharing other people’s success stories because they have been an inspiration for our readers as well. And for that, we will continue to move forward. Love these updates! I echo just about every sentiment in here. Blogging is a rollercoaster, one day you’re on top of the world and the next you’re wondering if it’s all worth it. I appreciate the shout out and kind words! You’re both awesome and I hope you keep these updates (and other great content) coming! You’re welcome! And thank you. Your encouragement, support, and feedback are very helpful on this blogging rollercoaster. I hope you continue on with blogging as well! Even though I have only started reading your guys’ blog a few weeks back, I love the topics and your experiences both of you have posted on here. And yes I concur with you about learning, you learn something new everyday. Keep up the great work Kim and Omar!! We’re glad you’re enjoying it and getting something from it. Thank you!